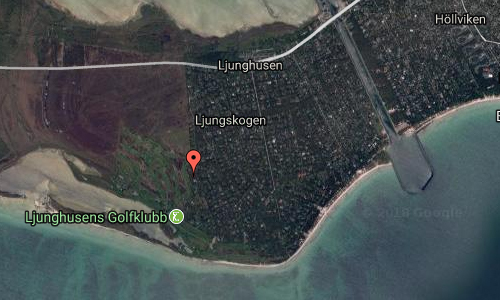 Villa Ljunghusen got its name from the place where it is located, in the Ljunghusen neighborhood in Höllviken on Skanör-Falsterbo in Skåne. 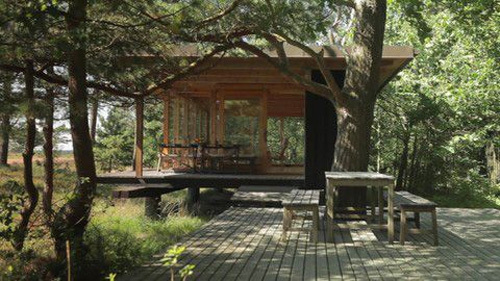 The villa was built around 1960 as two separate buildings with large glass surfaces out against nature, bound together by wooden decking and bridges to a living space of about 90 square meters. 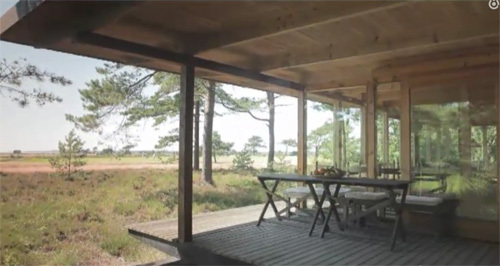 The villa was designed and inhabited by the landscape architect Per Friberg but in recent years has been used more by his son and his family. 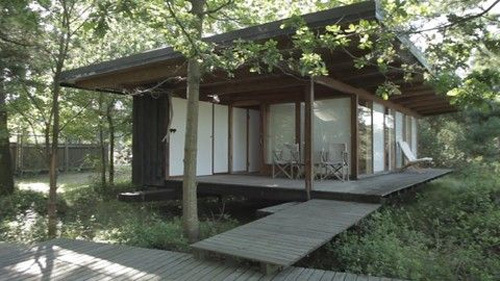 In 2012, this house appeared in the tv program Hustoppen where the search for the best Swedish house was done. This house finished first after the season! 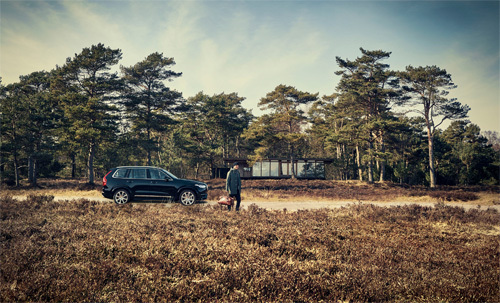 Volvo Cars was working with mega-DJ and producer Avicii to run “A New Beginning”, a 4 minute music video celebrating their shared Swedish heritage. Another chapter in Volvo’s “Made by Sweden” campaign kicked off with a 4-minute music video set to Avicii’s reworking of Nina Simone’s 1964 anthem “Feeling Good,” created specifically for the project. The new arrangement takes the classic to unexpected places with the addition of Avicii’s production and hauntingly soulful vocals by Audra Mae. 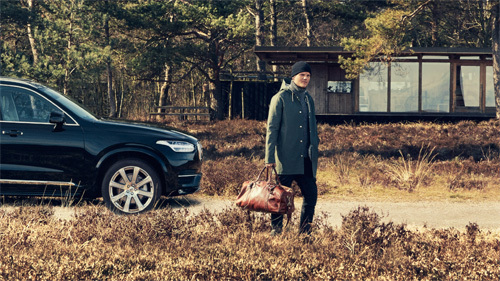 The film follows the 25-year old Stockholm-born Avicii (born Tim Bergling) traversing the idyllic landscapes of his native Sweden in the new Volvo XC90. 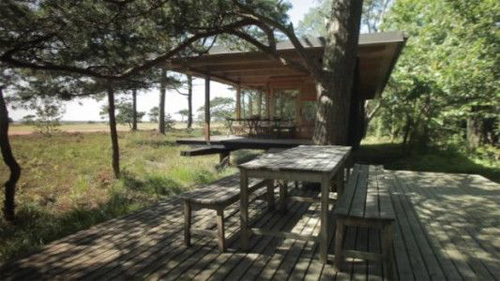 Shot on location in Stockholm and other places of personal significance to Avicii, such as Österlen, the film tells his own story of renewal, following several years of hard touring. The video also features members of his family and close friends. Tim Bergling (Avicii) died on April 20th, 2018. 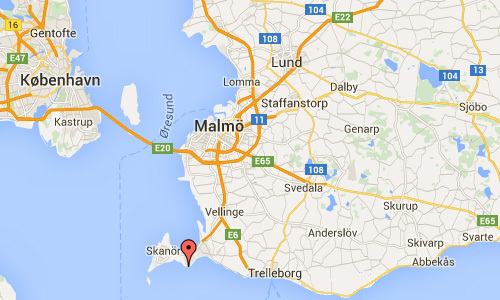 More information at www.multivu.com, www.tv8play.se and www.trelleborgsallehanda.se.